Hmmm, instead of sims clone, could a simple Little Computer People work on pokitto? There was a guy making a rebuild for pocket chip but he quit when the company went belly up. I’d be happy to help with grapiics if I could. As for gta, a top down game in retro graphics would be neat, and perhaps a map making app for pokitto to make your own maps and store them on the as card. A button shines light b button catches ghost and dumps them in the storage, each ghost is unique and worth points but all are hidden in places in the mansion and you have to find most via simple puzzles. You charge the light by storing ghosts, you use the light to find them / see them so you can trap them. Please note I’ve never played Luigi’s mansion I just know the basic idea. Also a tamagotchi / digimon game. The main “commands” were all 1 button, and if we reserve c for saving and exiting and use the + key for commands we have easily 12 commands. Only problem I can see is the memory, c64 had well 64k And pokitto has 36k however I believe it can be delt with this is 36 years later. That’s relative to the power of the CPU though. so it would take several instructions on a MOS to achieve what the Pokitto’s Cortex M0+ can do in just one instruction. Plus, it should be possible to offload some data onto the SD card. Lol want to help? You know I am illiterate and all when it comes to code. This could be the pokitto killer app. the houses would all be the same so no work there, beyond just making them the hard part would be the animations, walking talking on the phone, being petted, reading, etc. The house would need to save to sd, as well. Though the original didn’t so much seem to save as reload the character and acknowledge that time passed, though I’m sure pokitto could save and have resources deplete during the time away. Game flow is log in, which generates the lcp, and then you wait a bit and the lcp will come check out the house then leave and bring their bags, to move in. The first day or so they will lounge about doing stuff as you observe and care for them then perhaps they find a job and leave for a few hours each day. Eventually they will ask for a pet and you can give them one not sure if you chose or they decide either could be ok. And perhaps their job could be how they get food and luxuries? In the original these were limitless. I always focused strictly on house building in Sims, I’ve never really been into the people So a building aspect would be important for me. Or at least a big level of house customization. If you had a server that could run scripts it would be relatively feasible - you could just use the person’s IP address. That would mean some people wouldn’t always get the same unique character, but they’d probably end up with roughly the same batch of 256. I miss the days when Lego ‘minifigures’ were yellow. If multiple colours won’t fit, yellow gets my vote. 0-15 is better, that way you can fit it into 4 bits. What if I told you those could all fit into a single byte? Either way, there’s 128 permutations, so the biggest problem isn’t keeping character stats small, it’s providing the sprites for the characters. You’d have to have a way of generating the sprites from pieces, otherwise you’d have to make 128 images. Shoes and skin could be palette swapped, so that drops it to about 32 images. Which takes you to 16 images. But you can cheat by merging the shoes onto the base image to drop that down to 14 images. which brings the total to 12 images. the hard part would be the animations, walking talking on the phone, being petted, reading, etc. or maybe a decision tree. Once that’s working, the animations just become part of the state. and animations would just be batches of transformation values. To be honest I think the thing I’d have most difficulty with is determining what the characters should actually do. and it takes a lot of research and playtesting to make something like that fun. I think a virtual pet would be a much easier starting point. but I do have the Steam version. People behind NAT (same house for example) would get the same characters. But if you had such a server, you could simply increment the seed with each download, that should work just fine. Or the game could generate the seed at first run (e.g. from the time at which you press the first key), store it into EEPROM and then keep using it. That wouldn’t require any special servers. What, really? I’d suppose switching to natural skin would only lead to problems with racial correctness nowadays. Keeping them yellow would elegantly avoid them. Besides I liked them yellow as well. I’d agree to make them yellow. I’m reasonably sure my router has a pool of addresses that it assigns to devices pseudorandomly, so every time my computer connects to the internet I get assigned a pseudorandom address from the same pool of <= 256 addresses. But some places get a static IP, and others have a smaller pool, so it varies. Or the game could generate the seed at first run, store it into EEPROM and then keep using it. That wouldn’t require any special servers. I would probably do what Minecraft does - generate a seed per save and offer the chance for the user to input a seed somehow. I was just saying that the server thing was doable, not that it was necessarily practical. They switched at least a decade ago. I think they switched because they ended up having brown and yellow characters alongside each other when they started doing themed sets like Star Wars and Harry Potter, and they decided it looked a bit odd (and/or too much like the Simpsons :P). Personally I liked the idea that lego characters from the lego universe were just all yellow, I thought it gave them a bit of an alien quality - resembling humans, and yet not quite human. The adresses you get from the router are local to your subnet. Unless you have some very special service from your ISP, they put you behind their router that hides all your devices behind the same IP, so from the Internet’s point of view all the devices in your house are the same IP. for the user to input a seed somehow. That’s what I’d prefer, but generating it behind the scenes would keep that sense of magic for the non-tech savvy people. The effect that makes them think their copy has unique people in it is super cool. I could have sworn I used to get different IPs reported from different devices. Maybe they changed that as they ran out of addresses? I’d rather just hide the input box behind a konami code or something. 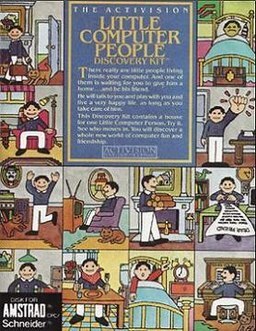 Either way, the problem with unique people is that unique people need unique sprites, or at the very least an entirely separate generation algorithm. They’re still yellow here. Just the knockoff ones are realistic. Also this could be two games that work together, one is the house in an sd card the second he little pokitto person.